‘He deserves no red carpet’, Mayor of London on Trump – Kenyatta University TV (KUTV). All Rights Reserved. Words war between US President Donald Trump’s and Mayor of London intensified on Monday as the two men traded barbs even as the city mourns the victims of Saturday’s terror attack. Speaking to the UK’s Channel 4 News, London Mayor Sadiq Khan reiterated that he thought a planned state visit to the UK for Trump should be called off. “I don’t think we should roll out the red carpet to the President of the USA in the circumstances where his policies go against everything we stand for,” Khan said. “When you have a special relationship it is no different from when you have got a close mate. You stand with them in times of adversity, but you call them out when they are wrong. And there are many things about which Donald Trump is wrong.”He said his position on the planned state visit had remained consistent. The British politician was largely dismissive of two tweets sent by Trump in the wake of the attacks, which misconstrued a statement from Khan. 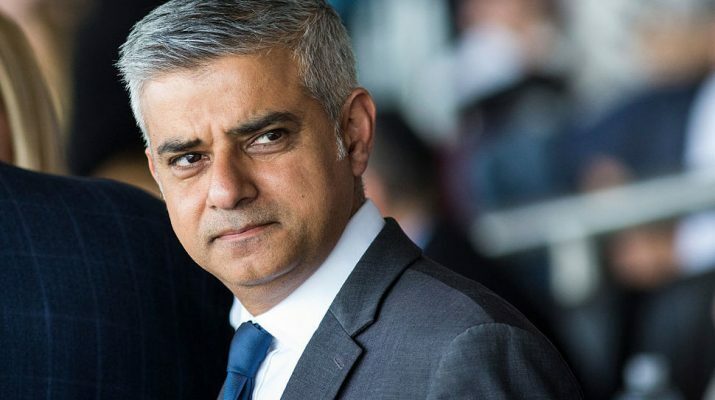 In the immediate aftermath of the attack, Khan said there was “no cause for alarm” when referring to a visible increase in police activity on the streets of London. Prime Minister Theresa May came to Khan’s defense, saying he was doing a “good job” and that they were working together closely in the wake of the weekend attack. “I think Sadiq Khan is doing a good job and it’s wrong to say anything else — he’s doing a good job,” May told reporters after a general election campaign speech. May declined to directly criticize Trump for his tweet, which has prompted a fierce backlash in Britain.